American Legislative Exchange Council issued the following announcement on April 5. In his final state of the state address, Connecticut Governor Dannel Malloy sidestepped the majority of the fiscal and economic issues plaguing the state in favor of paying lip service to federal progressive policy planks. It isn’t surprising that the least popular governor currently serving would pivot away from his record and toward federal politics. However, Gov. Malloy’s decision to pivot toward “fairness” is particularly rich, given how his policies have contributed to inequality of opportunity for many of the communities he claims to champion. When it comes to the problems of Connecticut, the governor is right: “Too many people are falling behind financially, even as they work harder and harder…Too many of our fellow citizens are denied a real chance, let alone a second chance, at a good and productive life.” However, the collapse of opportunity in Connecticut, a historically wealthy and dynamic economy, is a relatively recent phenomenon that appears likely to worsen over the next decade. The change is due in part to the governor’s philosophy and the policies he supports. The governor fails to see the disconnect between intent and outcomes in his favorite policies. On energy, he declared that we should “mandate that by the year 2030, 75 percent of Connecticut energy is clean energy.” His intent is clear, to reduce carbon emissions and thus improve the environment, but he is not taking into account the costs of the mandates and who would ultimately pay for them. Energy taxes fall disproportionately on lower income households and small businesses, the very people the governor aims to help. The same problem can be seen with the governor’s call to raising the minimum wage. Sadly, no one will pay their employee $15 an hour for $12 an hour worth of value they receive from the work. When benefits and wages are forced higher by the state, the bar for employment is raised. Employees on the margins are often laid off or have their hours reduced, to ensure that the cost of the employees are at least equal to their output. Again, the laid off disproportionately affects lower income households and small businesses. Connecticut has a complicated, even troubling, history with housing. As the governor points out, “The supply of affordable housing is simply not keeping up with demand.” But he then falls into the interventionism trap, saying “We need to take action this year to build more housing. We need to incentivize cities and towns to develop more inclusive options for their residents.” This is a case where less is more. Developers and property owners would likely rush to meet the demand for housing if municipalities would let them. The most effective and least expensive method to improving the supply of housing in Connecticut would be for the state to restrict municipal over-regulation of land use. By creating an incentive program, the governor invites cronyism, where politically favored municipalities and construction companies will receive a disproportionate amount of the benefit. If the governor wants to talk about fairness, he should examine how he has managed the state the past 8 years. What is fair about forcing Connecticutian taxpayers to devote nearly the first five months of their annual income to a bloated state government the longest in the nation? Economic growth is the most effective way to improve the material condition of the poor, and yet Gov. Malloy undermined Connecticut’s potential growth for nearly a decade. In 2011 and 2015, Gov. Malloy presided over one of the largest tax increases in state history, dramatically hamstring Connecticut’s economic outlook. Connecticut rank dropped from 35th in 2011 to 46th in 2016 on the Rich States, Poor States ALEC-Laffer State Economic Competitiveness Index. However, Connecticut’s economic performance over the past decade ranks 49th. Connecticut’s past decade and future decade are both grim after two-term of Gov. Malloy’s policies, much to the determinant of low income and immigrant families. What is fair about state employees receiving benefits that are 25 to 46 percent greater than those offered for the same work as private sector workers, at taxpayer expense? There was a window where these benefit plans could have been reformed, but Gov. 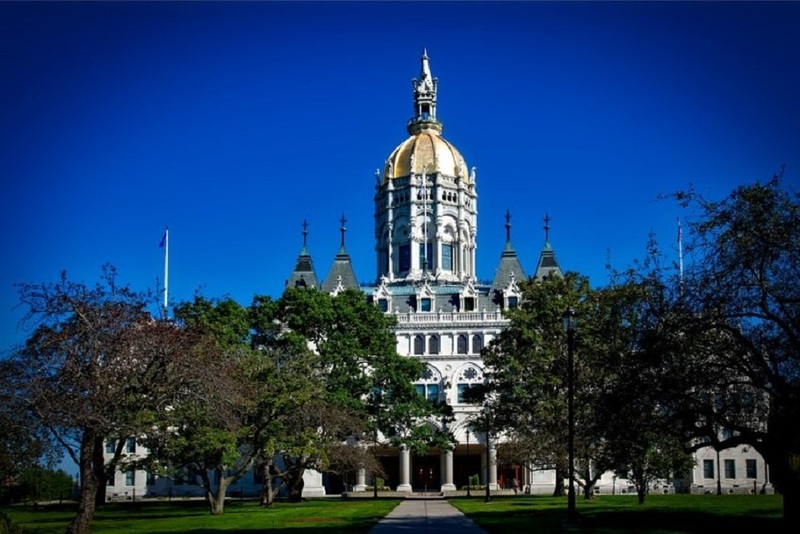 Malloy and his allies extended the State Employee Bargaining Agent Coalition (SEBAC) contract to 2027, forestalling meaningful reform for a decade. In addition to preventing needed reforms, the new contract also prevents future layoffs, tying the hands of future governors in the face of a growing fiscal crisis. SEBAC was not shared sacrifice on the part of the state employee union, but rather secured rent at the expense of the taxpayer. The governor claimed that “Connecticut Fairness means caring not just about our own immediate interests, but also about the interests of future generations” and yet Connecticut has the lowest state pension system funding ratio in the country, controlling for differences in discount rates. In the past year, the governor orchestrated the re-amortization of the state employee retirement system liability. Rather than reaching full funding, and thus a lower cost to taxpayers, in 2032, the state will stretch out its payments to 2046. Worse, the governor is exploring ways to circumvent the Teacher Retirement System pension obligation bond covenant to re-amortize yet another pension liability unto the next generation and kick the proverbial can down the road, yet again. In addition to defined benefit retirement plans, state employees have some of the most expensive other post-employment benefit (OPEB) plans, which have promised more than $20 billion of benefits and set aside almost nothing. The younger generation had no say in these debts, yet they will be paying for them in the form of higher taxes and limited opportunities for many years to come. What is fair about pushing pension debt onto grandchildren and great grandchildren? Gov. Malloy may believe that “holding a full-time job should afford a person a standard of living that meets their basic needs,” but he’s had 7 years. Instead, he raised taxes that drove out businesses large and small, blocked pension and OPEB reform for the next decade through the SEBAC agreement and continues to shovel liabilities onto a generation that did not vote for him or have not been born yet. There is nothing “fair” about Gov. Malloy’s legacy. Want to get notified whenever we write about American Legislative Exchange Council ? Next time we write about American Legislative Exchange Council, we'll email you a link to the story. You may edit your settings or unsubscribe at any time.